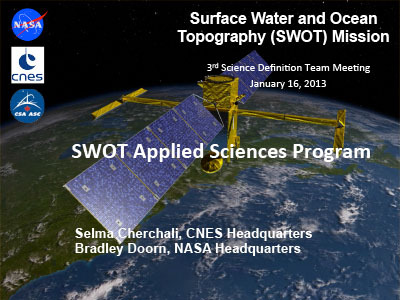 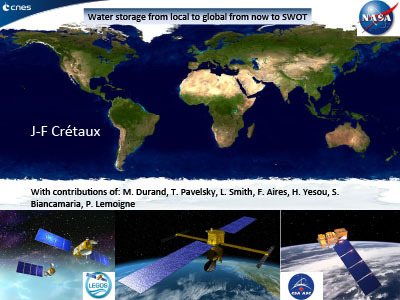 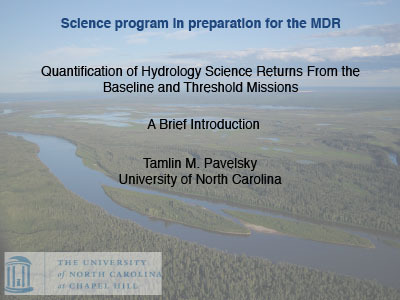 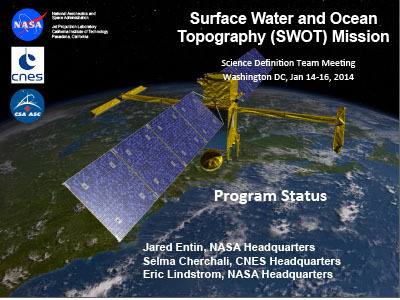 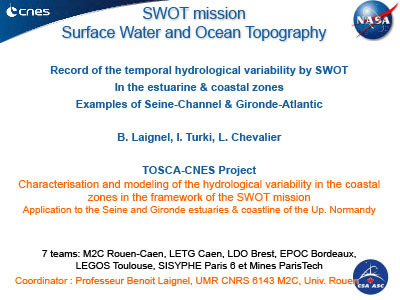 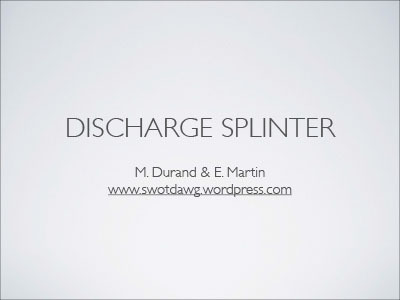 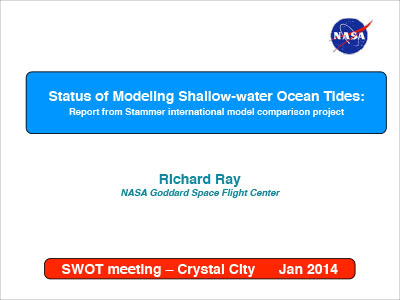 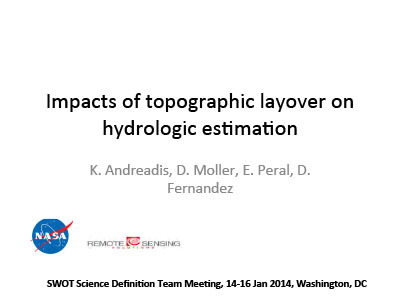 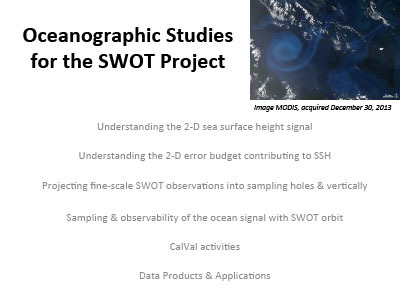 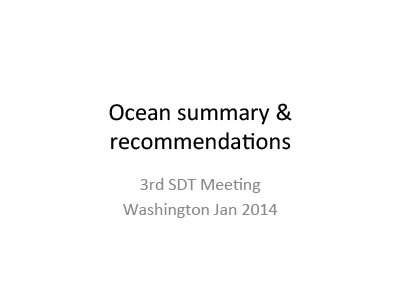 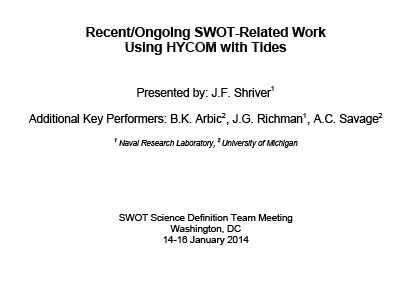 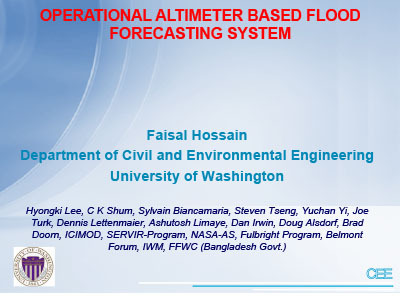 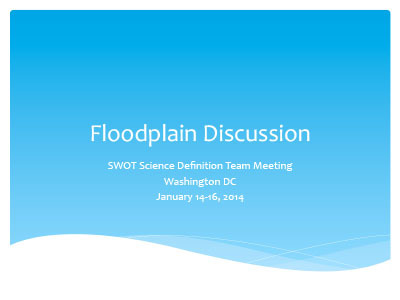 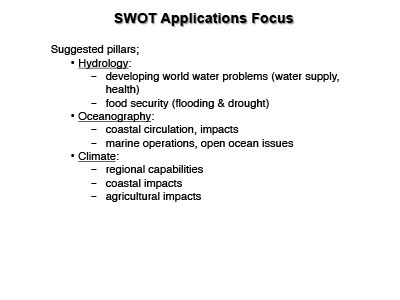 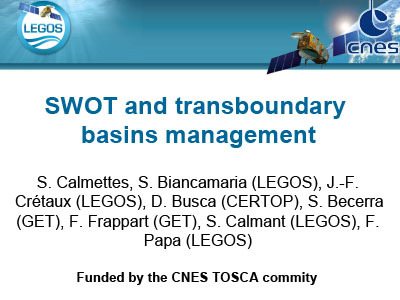 The Science Definition Team (SDT) of the Surface Water and Ocean Topography (SWOT) mission met in Arlington, Virginia during mid-January 2014. 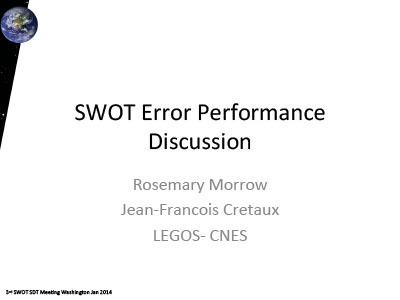 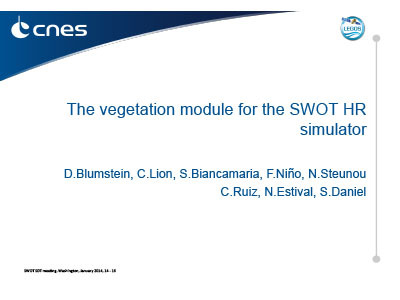 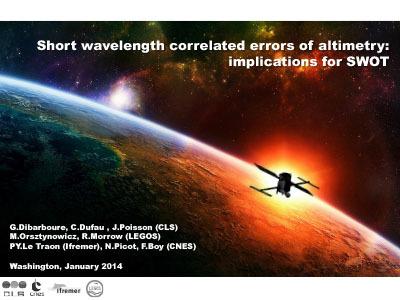 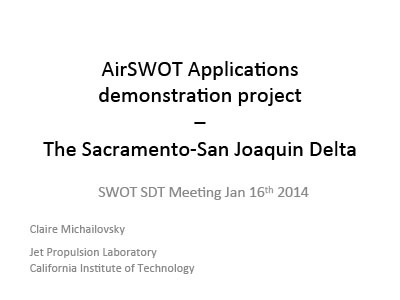 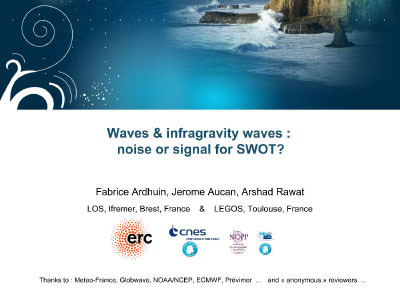 Plenary sessions outlined preparation for the SWOT mission design review including science returns, performance and error budget, and the Ka-band Radar Interferometer (KaRIn) instrument. 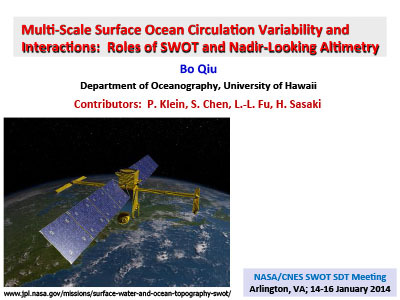 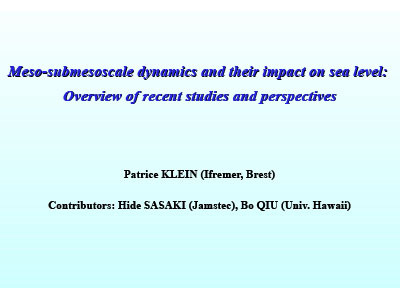 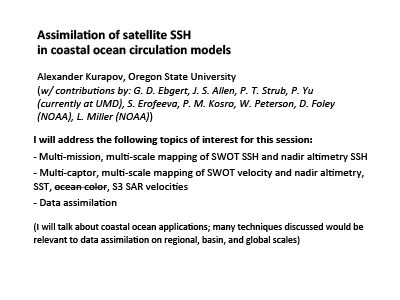 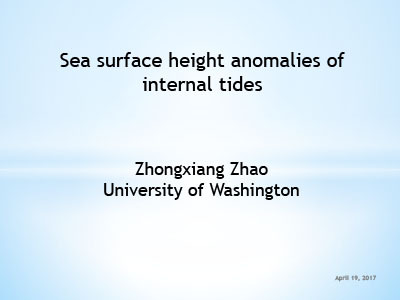 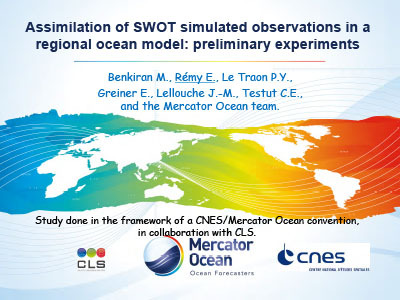 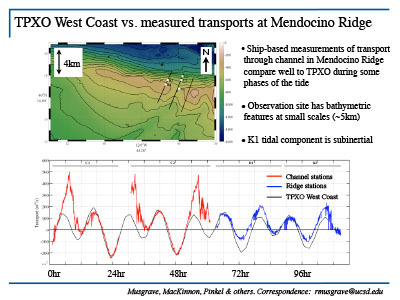 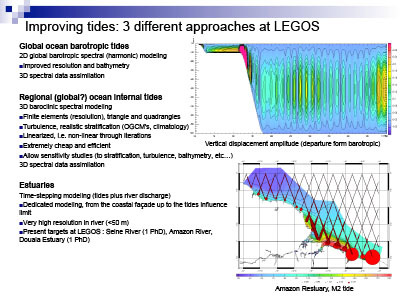 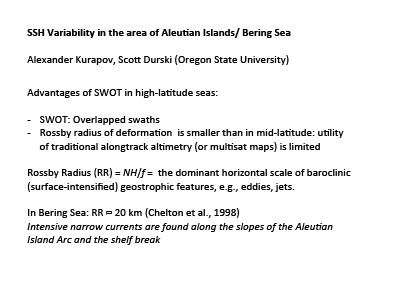 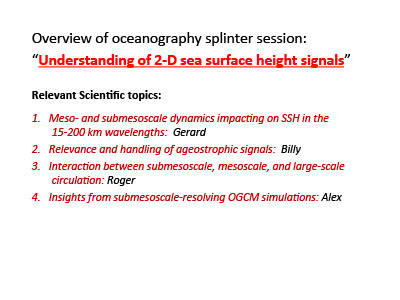 Results from the oceanography splinter meeting included better understanding of signal-to-noise ratios, two-dimensional sub-mesoscale dynamics, along with corrections for waves and tides. 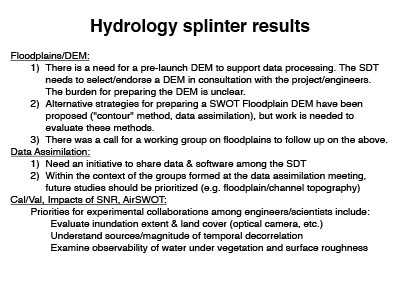 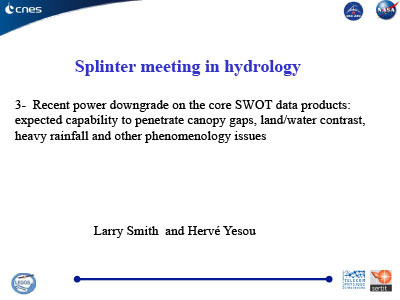 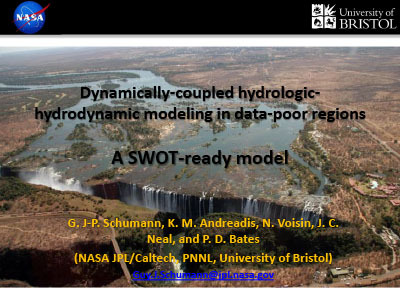 The hydrology splinter session covered floodplains, digital elevation models, data assimilation, and calibration/validation issues. 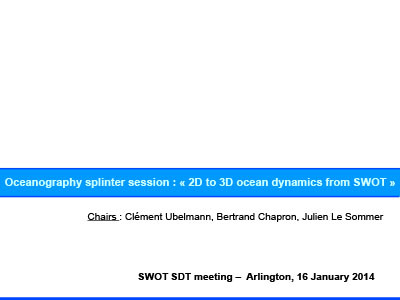 [16-Jan-14] Ubelmann, C., Chapron, B., and Le Sommer, J. 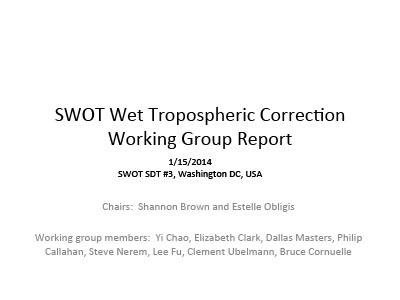 [15-Jan-14] Rodriguez, E. and Wu, X. 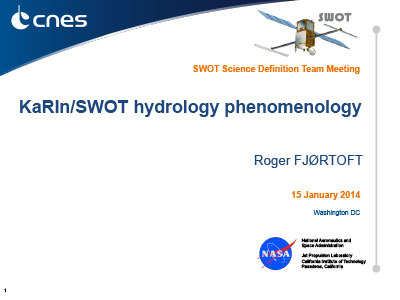 [16-Jan-14] Rodriguez, E., Picot, N., Callahan, P., and Fjørtoft, R.
[15-Jan-14] Andreadis, K. and Biancamaria, S.
[16-Jan-14] Benkiran, M., Remy, E., Le Traon, P-Y., Greiner, E., Lellouche, J-M., and Testut, C.
[15-Jan-14] Callahan, P., Hossain, F., and Ricci, S.
[16-Jan-14] Durand, M. and Martin, E.
[16-Jan-14] Srinivasan, M. and Peterson, C.
[16-Jan-14] Schuman, G., Andreadis, K., Voisin, N., Neal, J.C., and Bates, P.
[15-Jan-14] Smith, L. and Yesou, H.
[15-Jan-14] Sanders, B. and Boone, A. 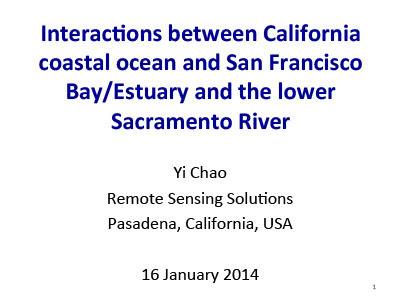 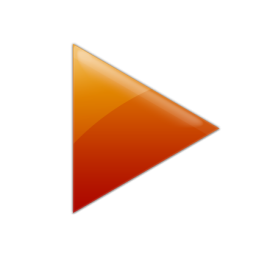 [15-Jan-14] Calmant, S. and Pavelsky, T.
[15-Jan-14] Biancamaria, S., Chao, Y., Albouys, V., Lamy, A., Jai, B., Biccari, D., and Ballard, C.
[16-Jan-14] Pavelsky, T. and Cretaux, J-F.
[16-Jan-14] Andreadis, K., Moller, D., Peral, E., and Esteban-Fernandez, D.
[14-Jan-14] Klein, P., Sasaki, H., and Qiu, B. 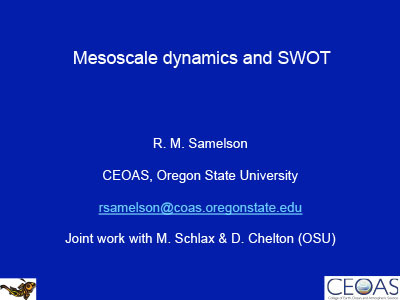 [15-Jan-14] Samelson, R., Schlax, M., and Chelton, D.
[15-Jan-14] Srinivasan, M. and Peterson, C.
[16-Jan-14] Doorn, B., Srinivasan, M., and Peterson, C.
[14-Jan-14] Qiu, B., Klein, P., Chen, S., Fu, L-L., and Sasaki, H.
[16-Jan-14] Morrow, R. and Fu, L-L.
[16-Jan-14] Hossain, F., Lee, H., Shum, C.K., Biancamaria, S., Tseng, S., Yi, Y., Turk, J., Lettenmaier, D., Limaye, A., Irwin, D., Alsdorf, D., and Doorn, B. 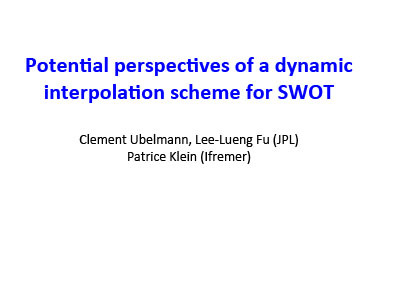 [16-Jan-14] Ublemann, C., Fu, L-L., and Klein, P.
[14-Jan-14] Entin, J., Cherchali, S., and Lindstrom, E.
[14-Jan-14] Vaze, P. and Lafon, T.
[15-Jan-14] Laignel, B., Turki, I., and Chevalier, L.
[15-Jan-14] Dibarboure, G., Dufau, C., Poisson, J., and Orsztynowicz, M.
[16-Jan-14] Kurapov, A. and Durski, S.
[16-Jan-14] Calmettes, S., Biancamaria, S., Cretaux, J-F., Busca, D., Becerra, S., Frappart, F., Calmant, S., and Papa, F.
[16-Jan-14] Cherchali, S. and Doorn, B. 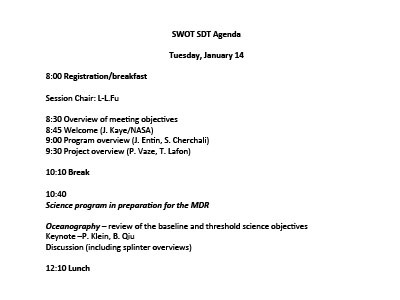 [14-Jan-14] Morrow, R. and Cretaux, J-F.
[16-Jan-14] Peral, E., Rodriguez, E., Johnson, M., Esteban-Fernandez, D., Moller, D., Andreadis, K., and Wu, X. 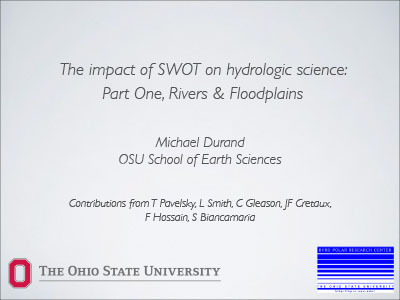 [15-Jan-14] Brown, S. and Obligis, E.
[15-Jan-14] Ayoub, N. and De Mey, P.
[14-Jan-14] Durand, M., Pavelsky, T., Smith, L., Gleason, C., Cretaux, J-F., Hossain, F., and Biancamaria, S.
[15-Jan-14] Blumstein, D., Steunou, N., Picot, N., Calmant, S., and Niño, F.
[15-Jan-14] Haynes, M., Williams, B., Peral, E., Esteban-Fernandez, D., and Rodriguez, E.
[16-Jan-14] Blumstein, D., Lion, C., Biancamaria, S., Niño, F., Stenou, N., Ruiz, C., Estival, N., and Daniel, S.
[15-Jan-14] Musgrave, R., MacKinnon, J., and Pinkel, R.
[15-Jan-14] Klein, P. and Qiu, B. 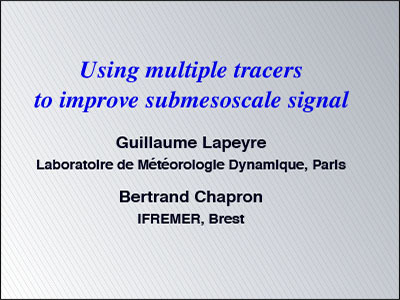 [16-Jan-14] Peyre, G. and Chapron, B. 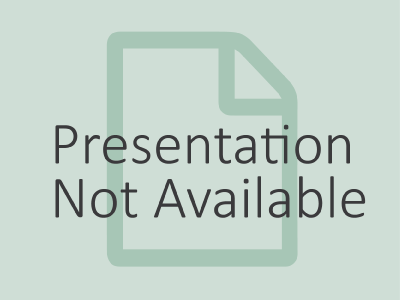 [15-Jan-14] Williams, B., Rodriguez, E., Peral, E., Fernandez, D.E., and Haynes, M.
[16-Jan-14] Lettenmaier, D. and Martin, E.
[14-Jan-14] Cretaux, J-F., Durand, M., Pavelsky, T., Smith, L., Aires, F., Yesou, H., Biancamaria, S., and Lemoigne, P.
[15-Jan-14] Ardhuin, F., Aucan, J., and Rawat, A.